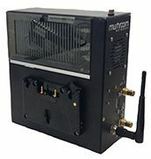 The Portabella is a 3G bonding device with Broadband Bonding technology that provides cost effective portable Internet access for mobile and temporary deployments. When peered with Portabella Server (optional), Portabella provides uplink and downlink bonding for any protocol between a mobile location and the host office via bonding together multiple cellular wireless Internet access cards for increased performance and reliability. 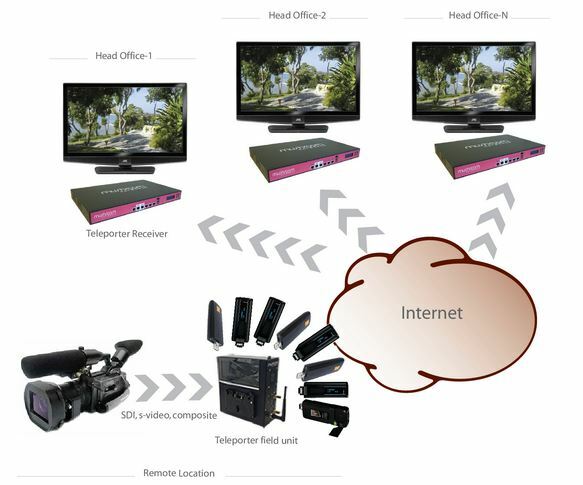 Portabella aggregates the capacity of as many as four USB based cellular data cards providing increased access bandwidth in both uplink and downlink directions for the communication link to the host office. The Portabella Server will also act as a transparent proxy, enabling the Portabella with a bonded connection out to the public Internet. Alternatively, Portabella when used with the Broadband Bonding Service subscription, will enable uplink/downlink bonding without requiring any Portabella Server device as the Portabella Server will be hosted by Mushroom Networks as part of the Broadband Bonding Service. 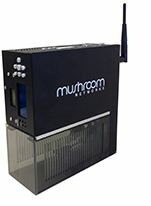 Portabella portable Internet access device has 2 models and both models support 3G bonding and 4G bonding. The standard Portabella 141 is ideal for indoor use and the industrial and ruggedized Portabella 141i is ideal for mobile or portable deployments. The PortaBella has 4 USB based ports for cellular wireless data cards. The 10/100baseT Ethernet based LAN port connects to the local network or devices at the mobile location. With the optional battery pack, the ultra portable Portabella is the fastest available mobile wireless Internet access available today.